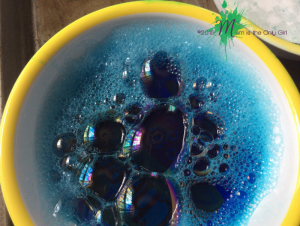 You simply put the water, about a tablespoon of dish detergent and about 10 drops of one food coloring into a bowl (err on using more than you think you need). 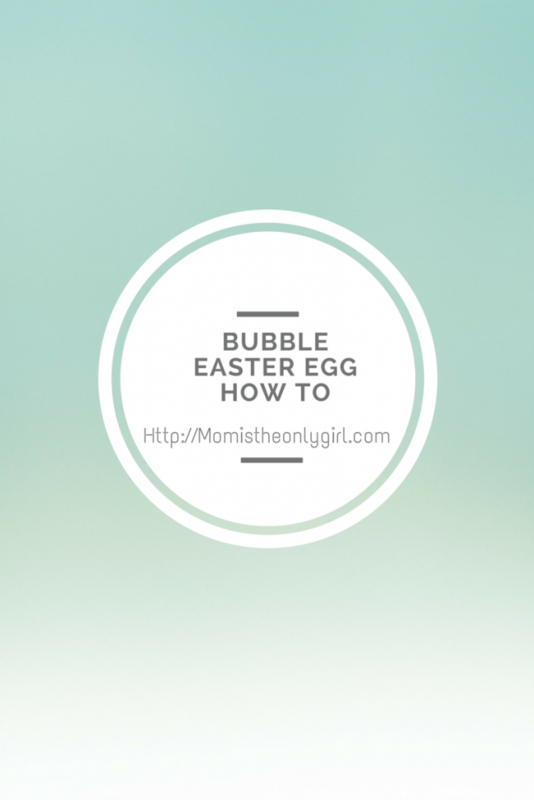 Make this solution for each color you will use for your Bubble Easter Egg decorations. 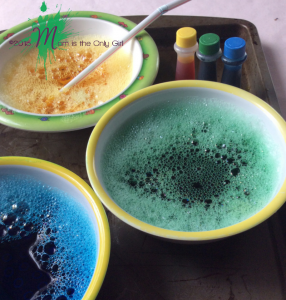 It’s best to set the bowls on a tray for the next step if you haven’t already. This is a great time to set them up in rainbow order and talk about ROYGBV! Insert a straw and blow until the bubbles are almost overflowing. You may need to remind the youngest kiddos to blow out, rather than drink in! Once you have plenty of bubbles gently place your paper on top of the bubbles and wait until they pop. The paper will be almost sitting on top of the bowl and a little color will be peeking through where the paper is wettest. Gently lift the paper and repeat with as many colors as you’d like! Cutie Pie wanted ‘shy’ colors (not bright), but the pic came out a little white. 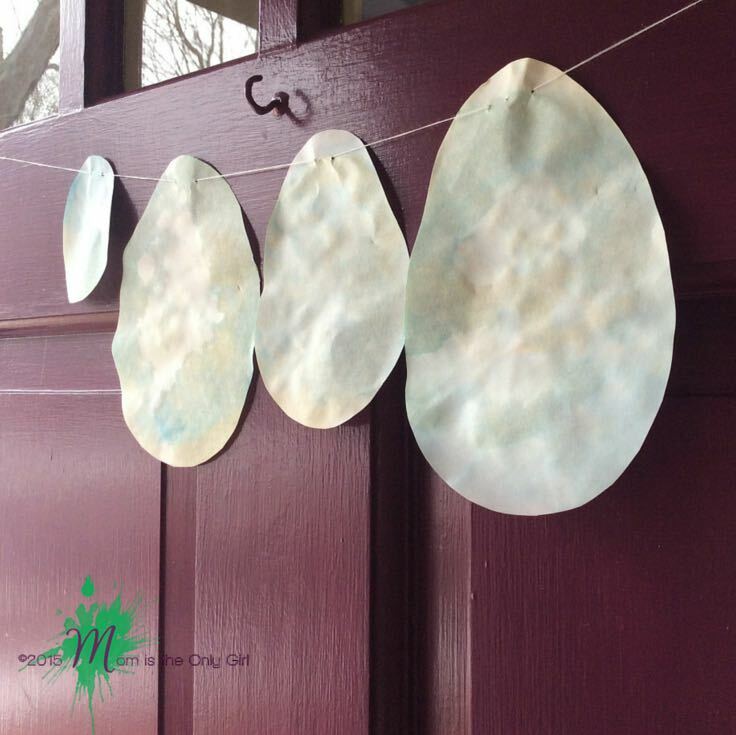 If you haven’t cut your paper into egg shapes yet, wait until the paper dries and then cut! I think these look great when strung together like bunting!